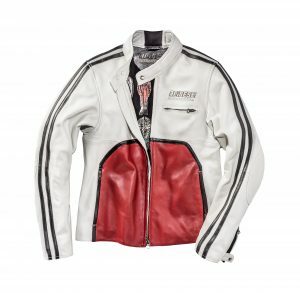 The Speed Leather range focuses on the importance and love of the leather jacket; jackets that hark back to the racing suits that Dainese produced at the start of its journey. 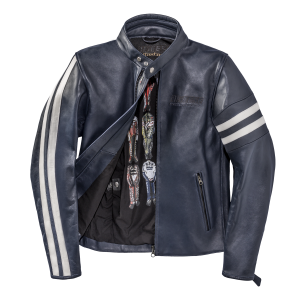 Staying true to Italian heritage, the jackets are the epitome of style, beauty and effortless elegance – while incorporating the latest safety technology. The arrow (Freccia) is a time-honoured symbol that almost everyone can relate to. 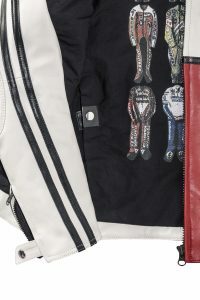 More than just a graphical symbol used to point or indicate direction, multiple arrows (such as those on the back of Agostini’s suit or on Freccia 72) traditionally stand for speed. Combined with Dainese’s twin horizontal bands and vertical stripes down the sleeves, the Freccia 72 is made from superior quality cowhide leather and features removable integrated Pro Armor protection. 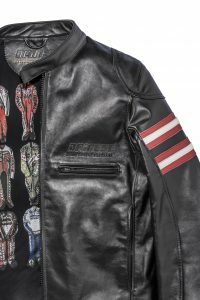 The printed cotton liner reproduces historical Dainese racing suits, a reminder of the Freccia 72’s origins. Available in Red/White, Blue/White and Black, the Freccia 72 has an RRP of £449.95, in UK sizes 34 – 50. The Freccia 72 is also available in a cut expressly tailored for women in UK sizes 6 – 20. 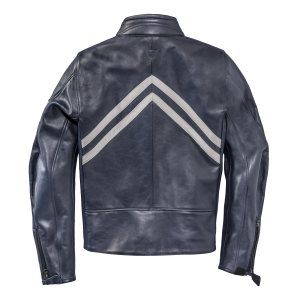 Channel your inner 70s soul with the Toga 72 leather jacket and re-live some of Dainese’s history. 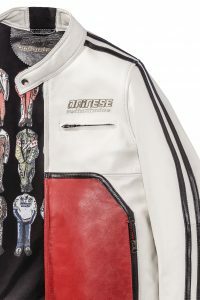 Combining past and present with unique details, distinctive cuts and removable Pro Armor protection for shoulders and elbows, the Toga 72 takes the design of the very first of Dainese’s racing suits and recreates it with today’s materials and technologies. With an RRP of £529.95 the Toga 72 is available in White/Red or Black, in UK sizes 34 – 50. Celebrate the DNA of the two-piece leather suits of the 70s with the Rapida 72, the stars of an era gone by that’s timeless. 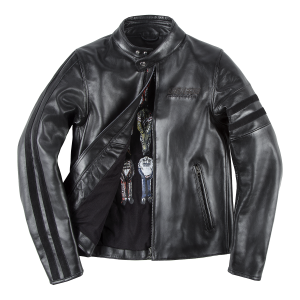 Created to reference the uncompromising spirit of Dainese’s racing history, Rapida 72 combines Dainese functionality with advanced technology. 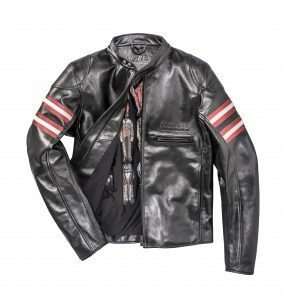 Crafted in soft Sol cowhide with Pro Armor protection for outstanding safety, comfort and style the Rapida 72 features elegant drawings of Dainese’s history on the interior liner. Available in black with red and white details on the sleeves, Rapida 72 carries an RRP of £499.95, in UK sizes 34 – 50. 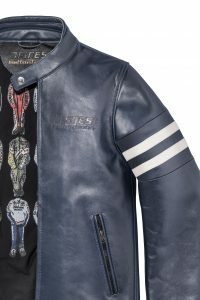 Speed Leather: Passion leads to innovation like night follows day. 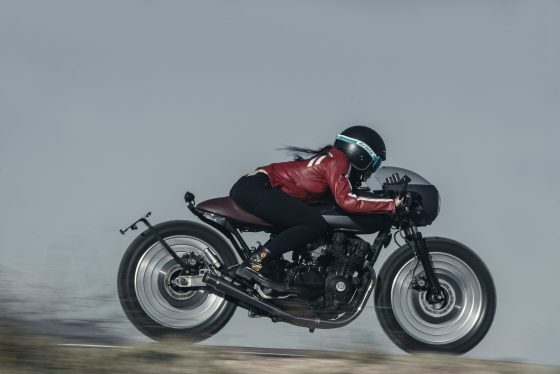 Laying landmarks in the history of motorcycling. Form following function in designs as striking as their revolutionary performance on track and road. 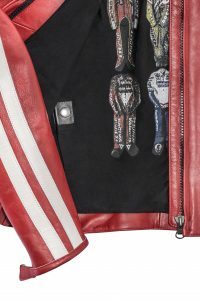 Creating the styles of champions and stars. 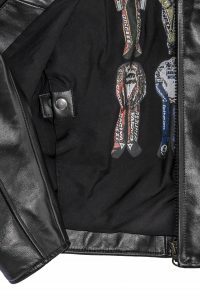 A collection of unique statements, waiting to be brought to life by those with the same passionate spirit: make your own history.